and dependable service for your needs! 1. Talk to an expert at our company for a free quote. 2. Book your date and keep your boxes packed and ready. 3. Or wait for us to come and pack everything and move it to the new property. When it comes to moving home, you will always appreciate having some help on the side. If your friends and family are not available to help out, consider using our man and van Wood Green service. For the lowest price on the market, come to us for all your removal needs. If you are looking for a professional removal company that values its customers, we are the ones you are looking for. 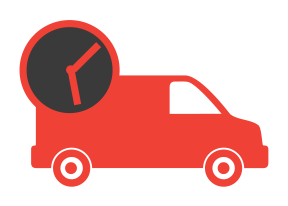 Our man and van service has expanded to cater for the growing needs of N22 residents when it comes to any kind of removal. We try to make our business policies as much customer friendly as possible. From our quotes to our flexible work hours, we try our best to work according to your convenience. Why not give our man and van Wood Green a chance and see how well we perform? Company name: Man and Van Wood Green Ltd. Description: The best man and van services in Wood Green, N22 are just a simple phone call away on 020 3198 9150! Hurry up and reserve a same-day service! Copyright © 2013 - 2016 Man and Van Wood Green Ltd. All Rights Reserved. Sure, you are excited about moving, but when you actually get down to it, you will realize that handling domestic removals by yourself can be overwhelming. This is where you call our removal team. With years of experience behind them, our house movers Wood Green are clearly the best in business in N22. We have the best expertise and resources at our disposal to help you make a smooth and easy transition. So the next time you need someone to help you with a house move, remember to call us for help. If you are excited about moving your business to Wood Green, don’t let the challenges of commercial relocation get in the way of enjoying the experience. We are here to take care of all that for you. We have helped a number of business owners with their business removals in N22 and each of our past customers has been highly pleased with our work. We are sure that we will be able to impress you as well. Just give us a chance and we assure you that we will have your business back up and running in no time at all. When it comes to moving things, the challenge lies in transporting the fragile, large and heavy items. Surely, you cannot carry them in your car across N22. Why not opt for our Wood Green man and van service? It is both economical and reliable, thus ideal if you are looking to move part of your cargo without having to end up paying a lot for it. Even if you are trying to move an entire household, our man and a van service in can assist with all kinds of removals. So get in touch with us today to talk about your removal job. Given that your move has been an expensive affair so far, how about giving that big and expensive lorry rental a miss and opting for our cheaper and safer man with van hire in Wood Green instead? We provide the best and latest in removal vans, equipped with numerous safety features and tracking system to ensure that your goods are secure and undamaged in transit. We even give you the best deals in town. So let us know the next time you need a man and van in N22 and we will be there to help you out. Even if you are doing most of the move yourself, you will definitely need someone to help you move your things around in N22. 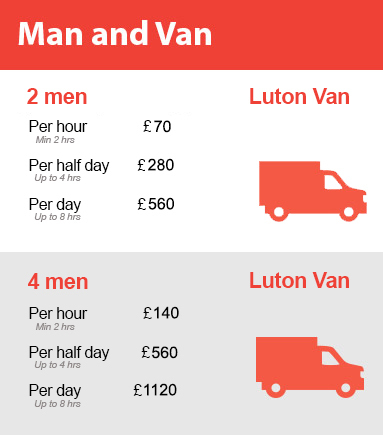 Consider the very economical option of hiring one of our removal vans in Wood Green. 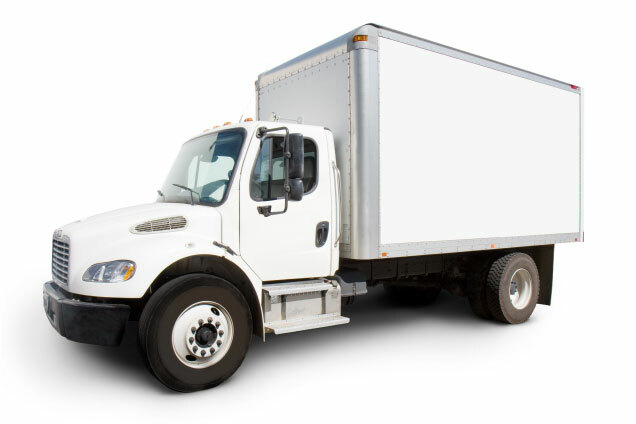 When you hire a moving van from us, you do not have to worry about how to load it. We will provide you an experienced driver who can also help to load and unload your boxes at both ends of the journey, if you need it. Don’t think twice! Just give us a ring today and book a vehicle for your moving day. People are generally apprehensive about allowing professional moving companies organize their moves wholly because they are concerned about how their things will be handled. Thankfully, when you hire us, you will have to worry about no such thing. We give you the best removal services in Wood Green for a fraction of the price that other companies will charge you. Our quality of service is unparalleled. This is why we are the first choice of so many people in N22. Try out any of our services once and find out for yourself why we are the best! In expanding the kind of removals and associated services that we provide to the residents of N22, we have included long and short-term storage services Wood Green as well. 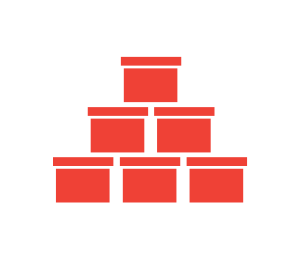 Situated at a very convenient location, we have a number of storage rooms that are well maintained and regulated to ensure that you can store anything with us without worrying about what it would be like when you come back for them. We cater to many people in the area and none of them have had any complaints about us thus far. So come visit our facilities and see for yourselves. If you are wasting a lot of time looking for packing supplies around Wood Green, then stop doing it right now. 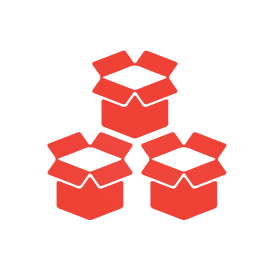 We bring you the one stop shop for all the things you would need to get good and secure packing done – packing boxes, packing tape, fillers, bubble wrap etc. Anything you could possibly need, you’ll find a variety of it with us. What’s more, we will even deliver it to your home in N22. So now you can use all the time you save to do more important things related to the move. Call us today!